Living away from home is a big step and only you can know if it’s right for you. 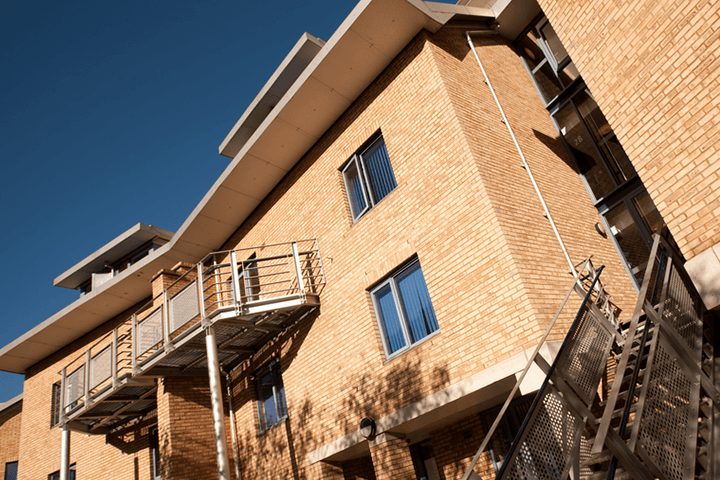 If you're considering accommodation close to your university, there is lots of support out there to help you reach a decision. 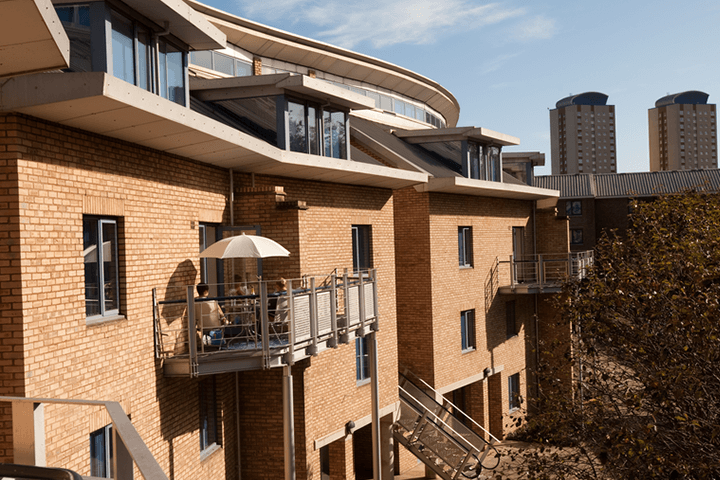 As someone who has experienced both university halls and a shared house, I'm happy to give you advice on my experience of these styles of living in Sunderland. In my first year of university, I lived in Panns Bank – a University-managed accommodation. Situated by the River Wear, it has great views. There is at least 5 people to each flat and each room has its own wash basin. However, you do have to share kitchen and bathroom facilities with your flatmates. But, there are two toilets and two shower rooms so it's unlikely you'll ever have to wait to use them. Working around other people’s schedules is key. Most of the people who live in Panns Bank are undergraduate students and I found that this is the best way to make new friends. Moving into my flat as a fresher, I made amazing friends that have continued with me throughout university. The flats really bring everyone together. The rooms do not exceed £90 a week so they are reasonably priced and include all bills including Wi-Fi. However, if you bring a TV, you must pay for the license separately. I didn’t bother with a TV because I was far too busy going out with friends and completing work to ever watch it. The rooms are not completely soundproofed. You may find that on some nights, specifically student nights out, you can hear people in the flats above and below you but you tend to get used to this. You can always arrange a visit by contacting the accommodation office to see if the flat is right for you before you move in. I have found that when you walk into the accommodation you choose, you can tell almost immediately if it’s right for you. 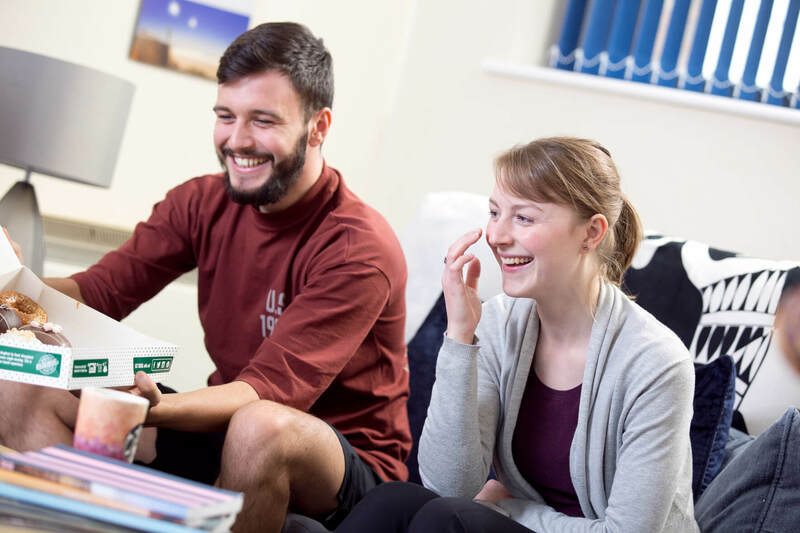 Once you’ve made your friends in your first year of university and you feel that living away from home is best for you, it is very likely that you’ll want to plan to live with your new-found friends. A shared house is a great option for this. I found my shared house through the student ambassadors at university who recommended Select Student Accommodation. They have a wide range of student houses in Sunderland from 1 bedroom houses to over 7 people to a house. My 5-bedroom house has lots of room. It has a kitchen, a bathroom, 2 toilet rooms, a living room, a hallway and a back yard. We also have Sky TV, Wi-Fi and all bills included in the rent and we pay less than what we did in Panns Bank. The perks of living in a shared house are that it feels more homely and comfortable. However, as it is a fairly old house, there are sometimes a few problems. But, these are always fixed as soon as possible when we let our landlord know. Next year, I have decided to live in a studio apartment. This is slightly more expensive than the options I have discussed but I know that it is right for me because it will allow me to have more peace and quiet to focus on my dissertation. I have been working part-time throughout my second year to be able to afford this.